The Congress objection to NOTA had come in context of its prestige battle in Rajya Sabha elections in Gujarat last month. Congress had petitioned the Supreme Court against NOTA in Rajya Sabha elections. NEW DELHI: A last-minute petition by the Congress against NOTA, or the None of The Above option at Rajya Sabha elections in Gujarat was an abuse of court process, the Election Commission told the Supreme Court in an affidavit The election body said the law recognises that voters are free to abstain, and NOTA reflected this right. The election body said NOTA was introduced in direct and indirect elections after the top court's ruling in 2013 that had been implemented soon after. 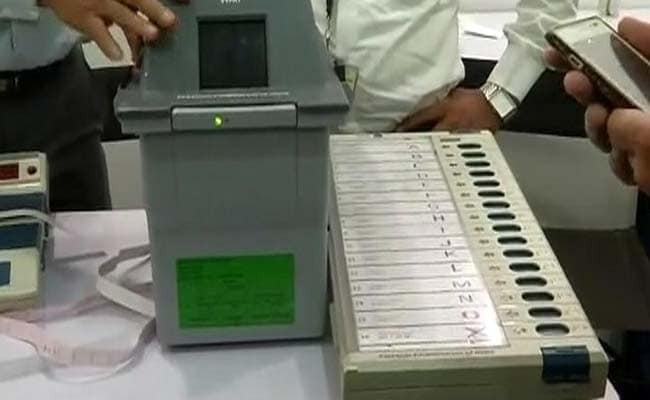 The first Rajya Sabha election where state legislators were given the NOTA option was in 2014 and 25 elections to the upper house have been held with NOTA. The Congress objection to NOTA had come in context of its prestige battle in Rajya Sabha elections in Gujarat last month. Congress president Sonia Gandhi's aide Ahmed Patel, 67, was seeking another term from the state and the BJP was determined to make the Congress to sweat for this one seat. Mr Patel did scrape through with 44 votes eventually after two Congress rebel votes were cancelled because they had showed their ballot papers to a BJP leader. But the Congress strategist too later conceded he had never seen "such a tense and bitter election battle". The Congress and the BJP had both opposed NOTA, which allows a voter to reject all candidates, saying it is against the ethos of indirect elections. But it was the Congress that had approached the Supreme Court, arguing that "there is no constitutional provision for NOTA in the Rajya Sabha polls and no order from the Election Commission". The top court had then refused to put on hold the right of lawmakers to reject all candidates but asked the Election Commission to respond to the points made the Congress. In Rajya Sabha polls, legislators have to show their ballot paper to an authorised party agent before putting it in ballot box. "The use of NOTA in an indirect election is contrary to the mandate of the Constitution, the Representation of the People Act and election rules," the Congress insisted.